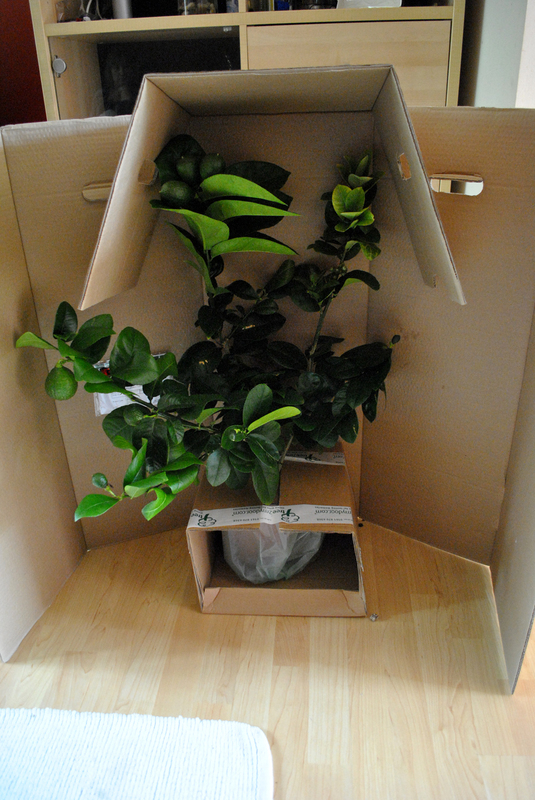 One thing we've always wanted, but never got round to buying, is a lemon tree. 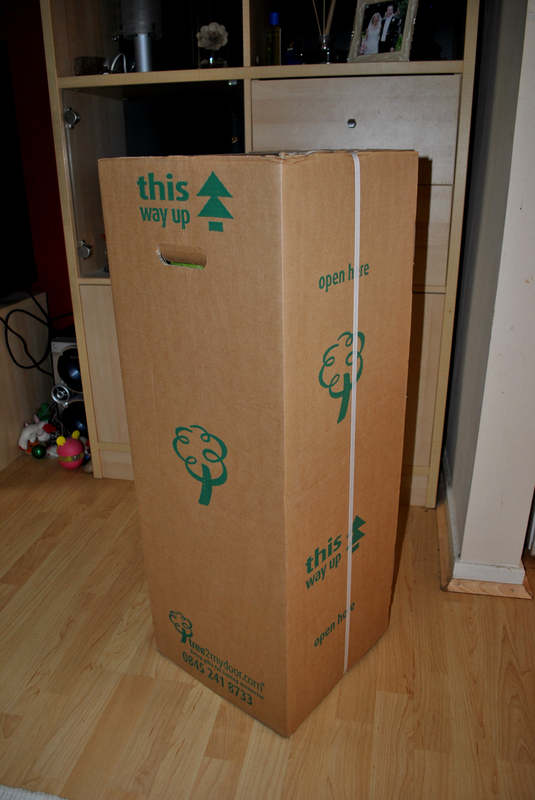 So, when the lovely people at Tree2MyDoor offered us one we were only too happy to take them up on it. Specialising in trees delivered as gifts for special occasions they offer a large selection of well developed stock including a variety of citrus trees perfectly suited to growing in conservatories, greenhouses, sunny patios or well lit and ventilated rooms in the house. 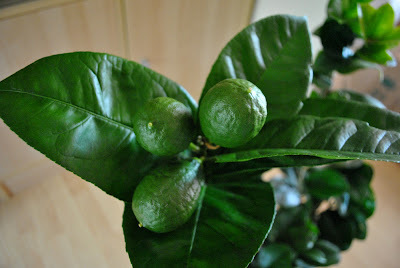 There's something exciting about being able to grow something as exotic as lemons at home and it sounds like we can expect the tree to fruit up to four times a year which sounds impressively productive to me. So, there was an air of expectation yesterday when the delivery driver knocked on the door and deposited a large box into our eager hands. Standing upright the box folded open easily to reveal the surprisingly mature tree inside. We weren't really expecting it to be quite as well developed as it was having been used to the young straggly fruit bushes you tend to get from mail order companies so it was exciting to find over ten fruits already at various stages of development with another bunch of flowers ready to bloom soon from the looks of it. The growing instructions provided in the box say lemon tree's need to acclimatise slowly to their new home so it's spending a couple of days inside near the patio windows before making the short trip into the greenhouse on a coolish day then we'll keep an eye on it to make sure it doesn't get too hot too soon. It looks a lovely healthy plant. It'll be nice to be able to add your own lemons to your g&t's. How exciting - it will be interesting to see if you manage any lemons! How exciting! And lemons already on it! I was lucky enough to receive on a few months ago, and have had 5 lemons this year from it, so satisfying! It is currently outside on the patio (in the shade, the leaves got scorched in the hot weather we had a few weeks ago) with new leaves unfurling and new flower buds too. How exciting! I wish there was a similar company in the US. I would kill to get a dwarf avocado tree! 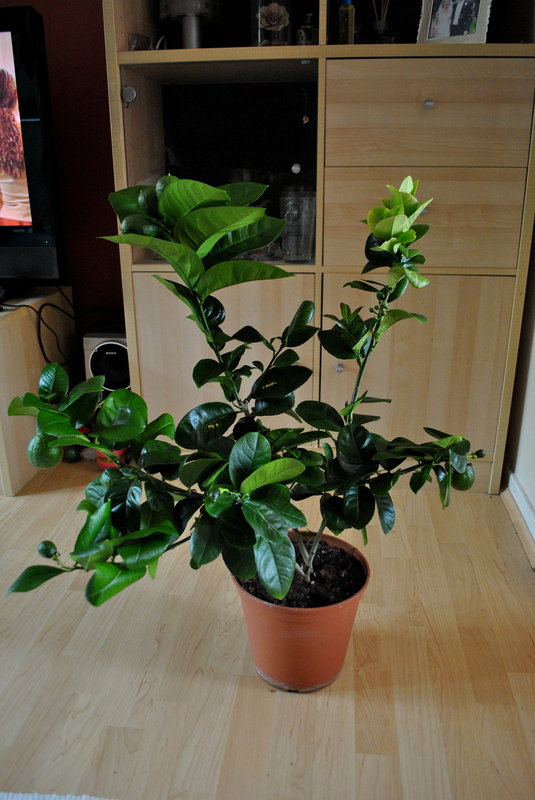 Let us know how your lemon tree is doing! Citrus is on our list for next year. We agree with you, there is something magical about growin exoctic fruit such as lemons in your own home, in cold, rainy Britain. Good luck with the tree. We've had a Pomello tree, grown from seed from China, in a huge pot for about 30 years. It's survived moves around the UK and to Sweden , Spain and France. It has never fruited! A lovely plant but a disappointment, too! We now have a young cutting from it also growing well here in Spain. We hope it might fruit some day before we expire! Good luck with the Lemon, it sure looks promising. Great article! Enjoyed it very much! That is awesome!! My family is moving to a nice 5 acre farmette next spring and we will be watching your blog for tips and tricks. We did quite well this year with tomatoes, garlic, onions, squash (acorn and spaghetti), eggplant, and assorted peppers. You can find me @thebrownbarn. Fresh lemons are always the best! I love your little lemon tree. It looks like my miniature indoor orange and lemon trees. What an awesome lemon tree. Love it. Wow, that's a fantastic specimen. Don't be surprised if a few leaves fall off. Have fun seeing the fruit colour up! That's awesome that they deliver such nice plants. And already having green lemons? Crazy. Good luck! Just wonder whether you had given up on growing your own? I hate it when plants are drop-shipped as opposed to delivered in whole. This is exactly the way it should happen! the plant looks healthy.my aunt has one and its almost as big as yours. its nice the way you called it'exotic' though! Fantastic i hope its still growing,have you been lucky to get enough lemons to make a fabulous lemon curd? Wow! What a wonderful tree! The flowers of this tree are so beautiful!! !